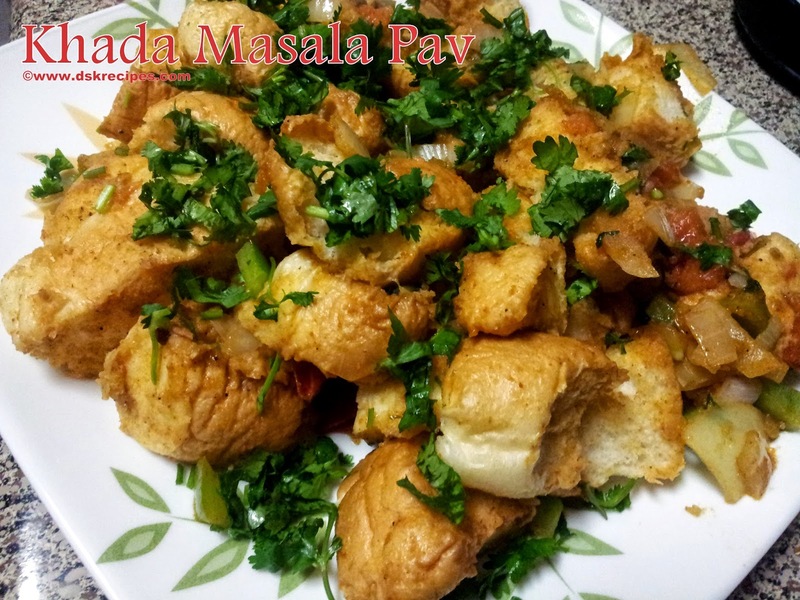 Khada Masala Pav is something different than usual Masala Pav we cook. A little twist in the recipe make a difference. Khadi Pav Bhaji is is a dish its same like pav bhaji but the vegetables are not mashed but kept in chunks. This recipe is inspired by Khadi Pav Bhaji. 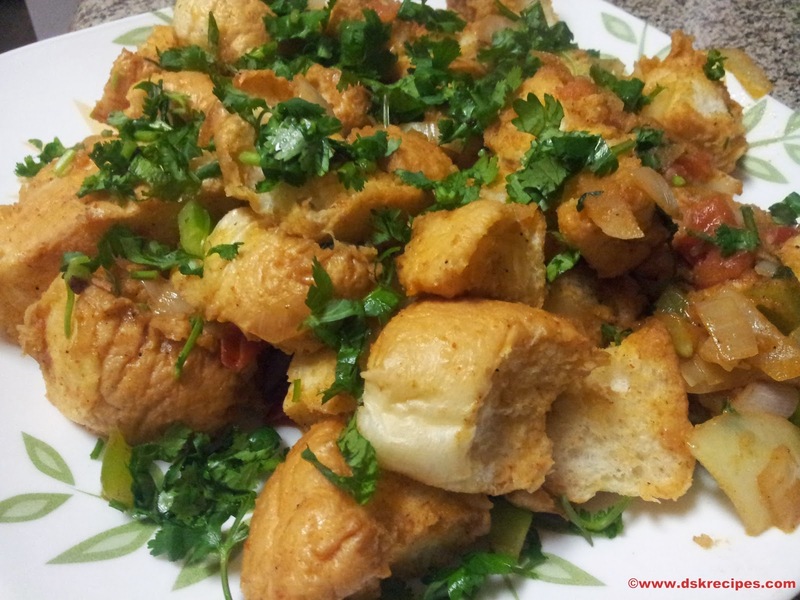 In this recipe as the name says Khada i have used vegetables chopped in cubes rather than using only mashed pav bhaji. It gives great taste and very easy to make. Whenever you make Pav Bhaji preserve little sabji for this dish or its a best way using the left over bhaji. It makes great evening snack. 1. Take pav and cut them into 4 cubes. 2. Heat butter in a pan. Add all chopped vegetables. Saute till half done. 3. Add pav bhaji masala, red chilli powder. Mix well. 4. Add the the pav bhaji sabji and mix well. Sprinkle little water and lemon juice. 5. Add the pavs and salt, mix well. 6. Transfer into the serving plate and garnish with chopped corriender leaves.